Handy Backup™ Pro is een snelle en effectieve utility voor het backuppen van data van PC's thuis-, kantoorwerkstations. The Database tool included in the Pro edition allows saving and restoring the information from any database type existed, SQL or non-SQL, using an appropriate ODBC driver. 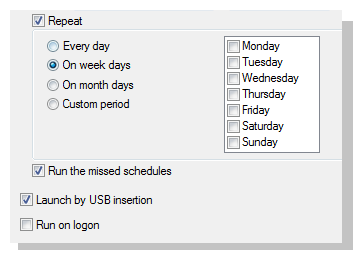 This feature can be useful for backing up workstation-level applications containing built-in databases. 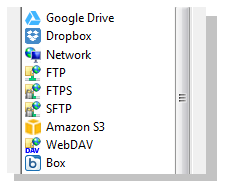 Starting tasks backing up on the external USB drive device when it is plugged in to a PC.